I wholeheartedly agree with doing a review, but I have a problem. If you’re anything like me, running hither and yon doing 500 things at a time, you probably remember things that happened from September to December and forget about things that happened from January to August! It’s no wonder we think we haven’t accomplish anything of value during the year! A few weeks ago I stumbled upon a great solution for this problem on Pinterest (www.pinterest.com) that I want to share. It’s also perfect for people who don’t calendar their lives. Start the year (ahem, today) with a big empty jar. When you reach a goal, experience a milestone or a moment that touches you, or have an “aha” moment, or just want to jot some things down, immediately write the goal, experience, etc. on a piece of paper, date it and put it in the jar. On New Year’s Eve this year, empty the jar on the floor and read about your life and smile! Just so you know, you can use any big container you want – a shoe box, a plastic cereal container, anything large. You’re going to have a lot of experiences to record! 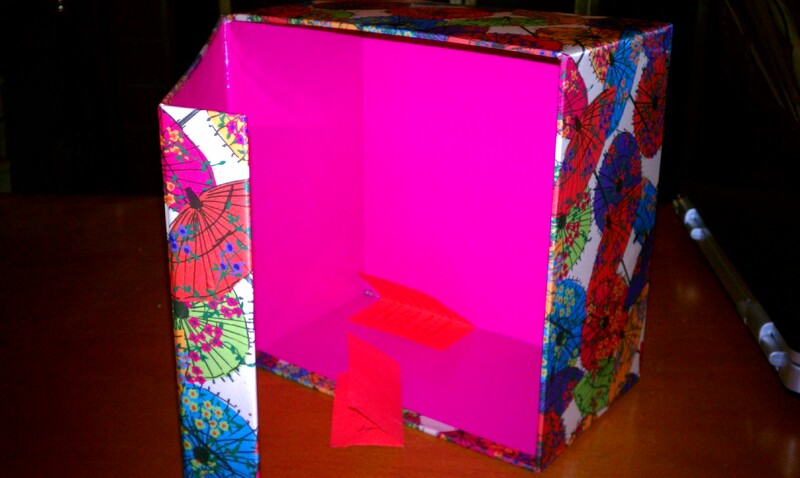 Feel free to cover the container with wrapping paper so it looks nice or use different colored paper. I’m using a big floral box I found in the house. It has papers in it already! Question for Comment: How will this idea help you to better review your life in December? Previous postTime for a Reboot!